We all know how Avengers: Infinity War ended. Only a handful of the Earth’s Mightiest Heroes survived Thanos’ fateful snap, with half of the universe turning to dust. But, now it looks like Bruce Banner/Mark Ruffalo can find the lighter side of the whole scenario. February 13 marks the 51st birthday of Josh Brolin, who plays Thanos onscreen. To celebrate the occasion, his MCU co-star Mark Ruffalo wrote him special birthday message. Both Brolin and Mark Ruffalo are good friends behind the scenes. Brolin has even admitted that Mark Ruffalo has played an important role in getting him to agree playing Thanos. Apparently, Brolin turns to Ruffalo for help, as the latter had a lot of experience playing a MoCap character like Hulk. Will we see Professor Hulk in Avengers: Endgame? However, both Hulk and the Mad Titan Thanos share an antagonistic relationship onscreen. 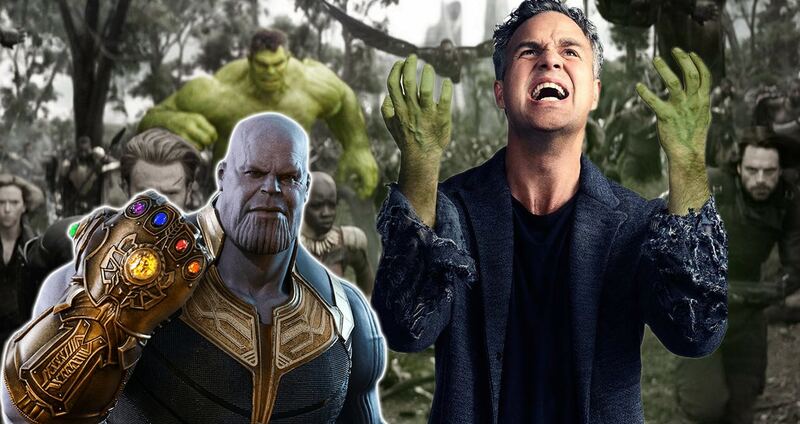 It appeared that Hulk’s defeat at the hands of Thanos was what caused Hulk to deny coming out for the rest of the film. However, the Russos later confirmed that Hulk wasn’t scared of Thanos. Rather, he is just tired of protecting Bruce Banner.